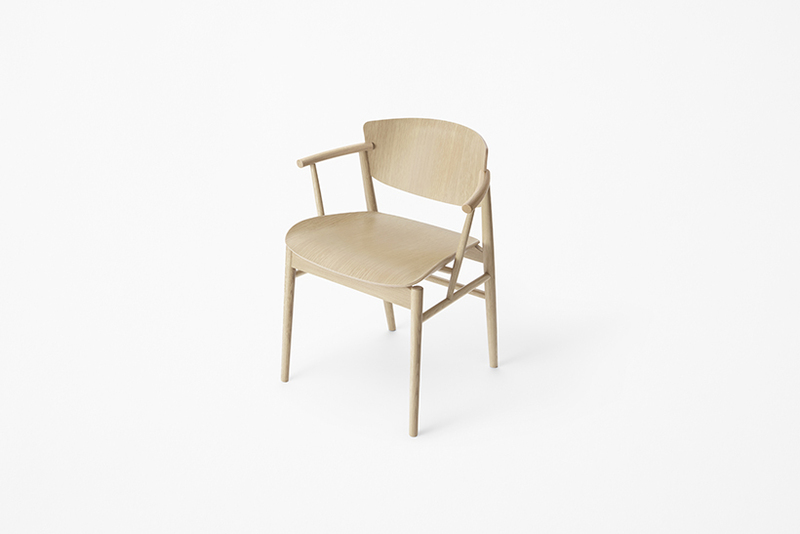 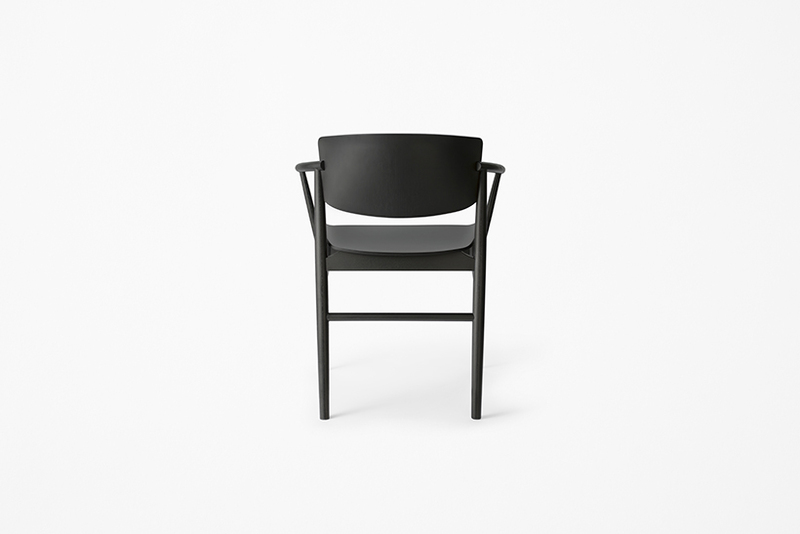 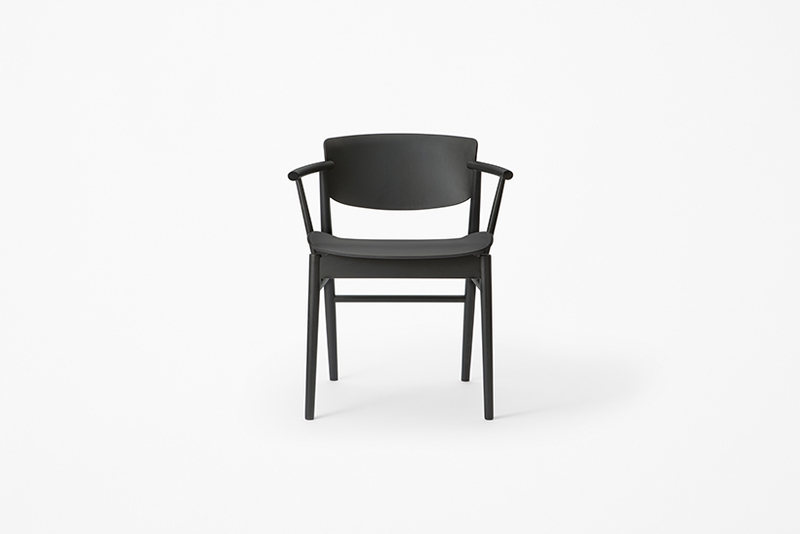 A wooden chair designed for Fritz Hansen, the Danish furniture company founded in 1872. 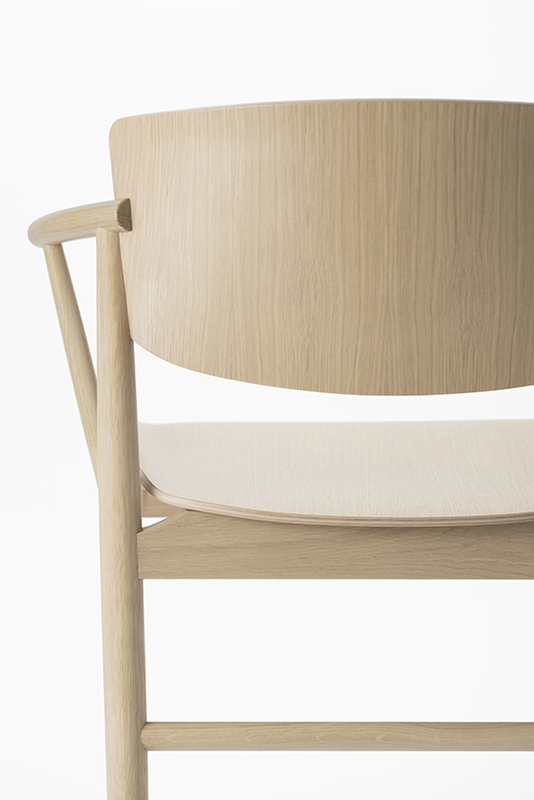 Fritz Hansen, known for their highly skilled molding technique using plywood, and their wide experience with comfortable seating has generated their unique style for over a century. 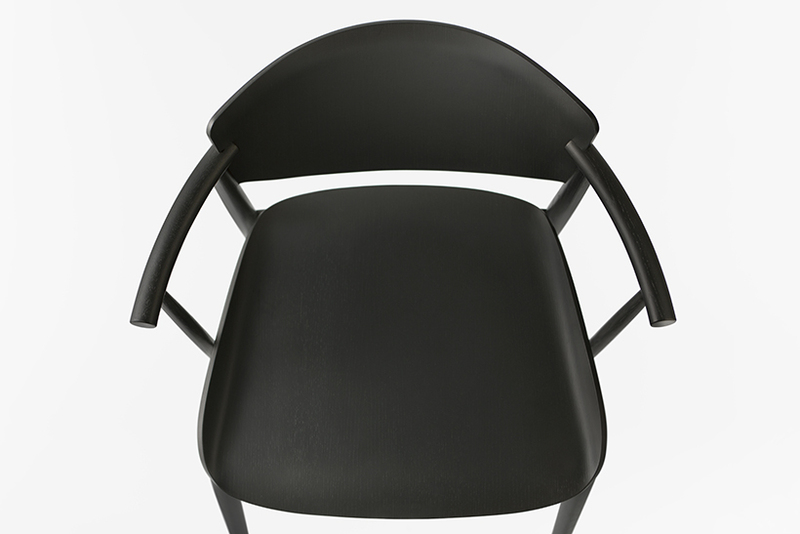 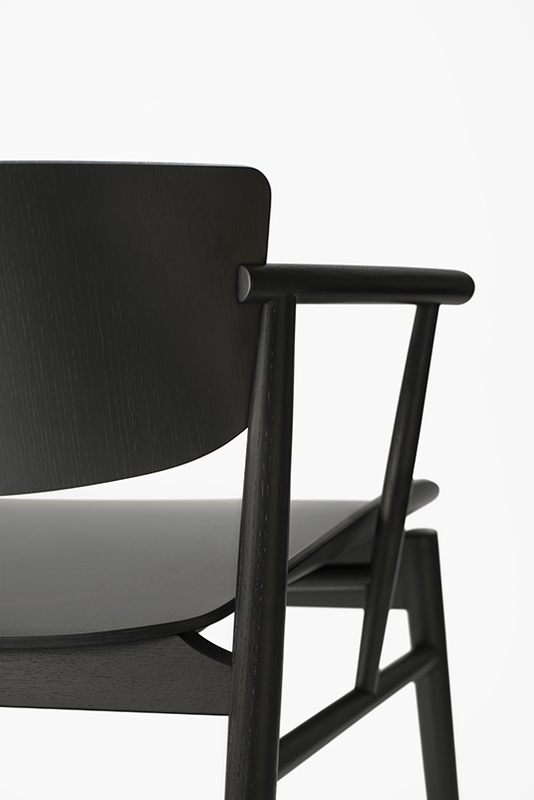 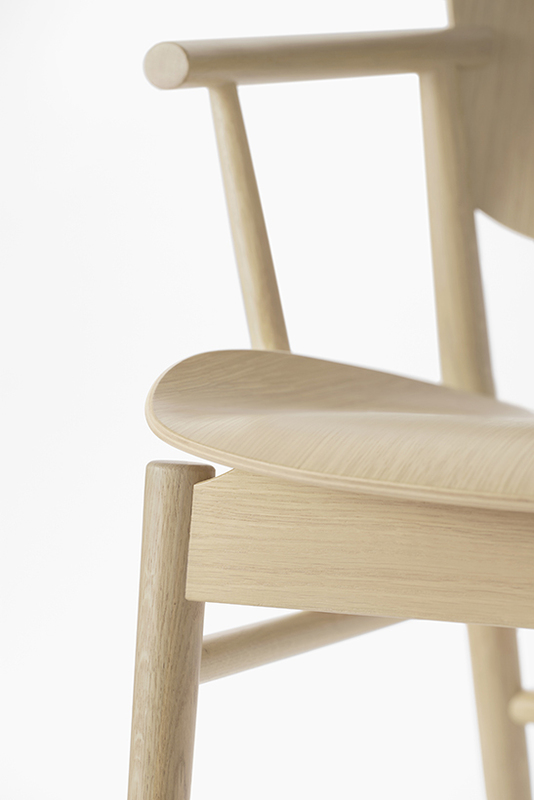 Therefore, the chair was also aimed to have an iconic shell design, using nine layers of veneer. 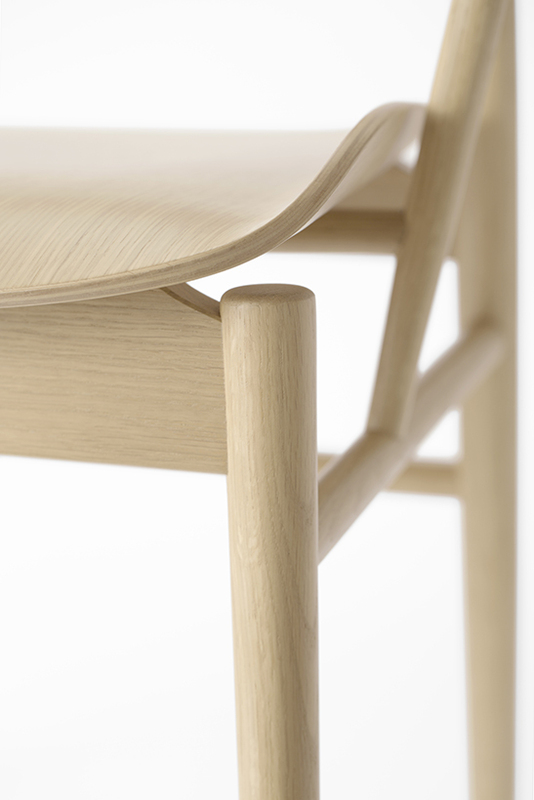 Normally the joints between a frame and a shell are thickened to increase its strength, sometimes resulting in a heavy appearance. 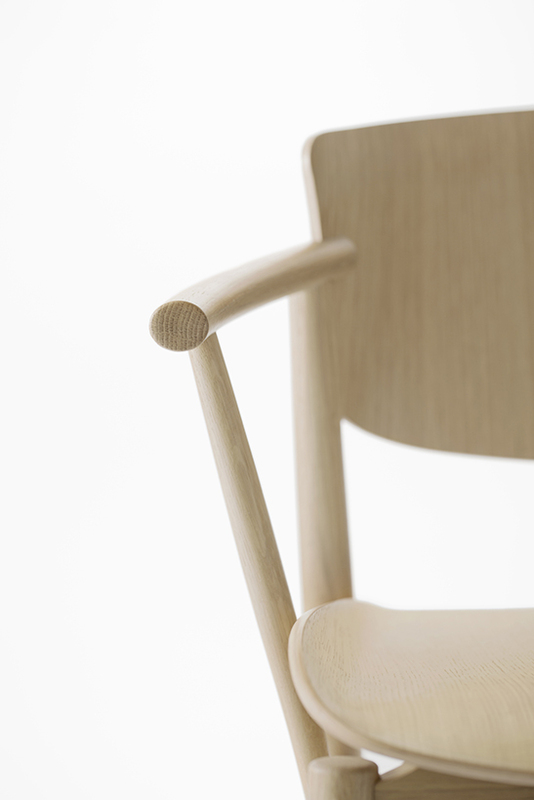 To provide a lighter appearance, these joints were carefully designed to look as though they are barely touching. 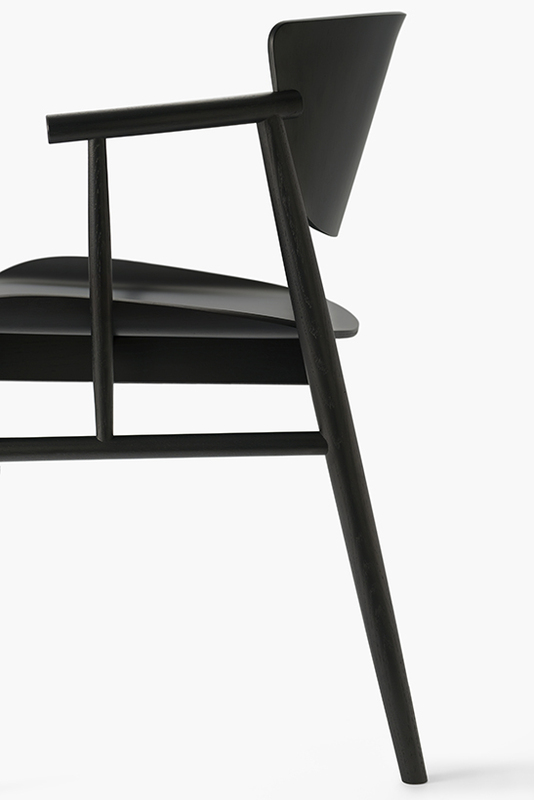 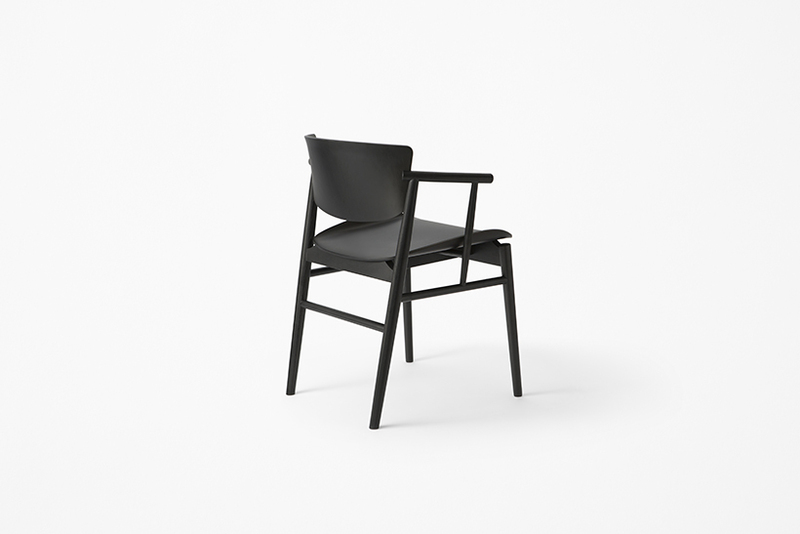 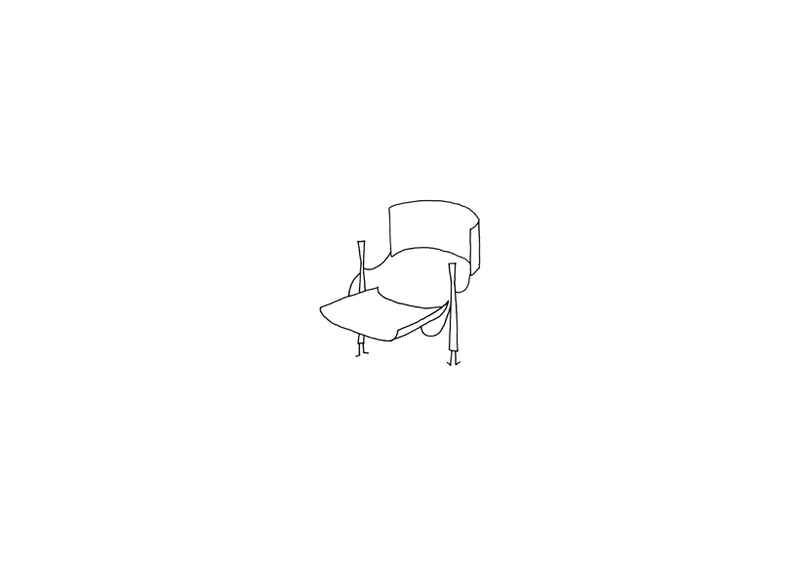 The backrest shell is fixed into slits engraved on the frame, making it look as if the frame is pinching the shell from both sides, and the seat is connected with concealed joints making it seem as if it is floating. 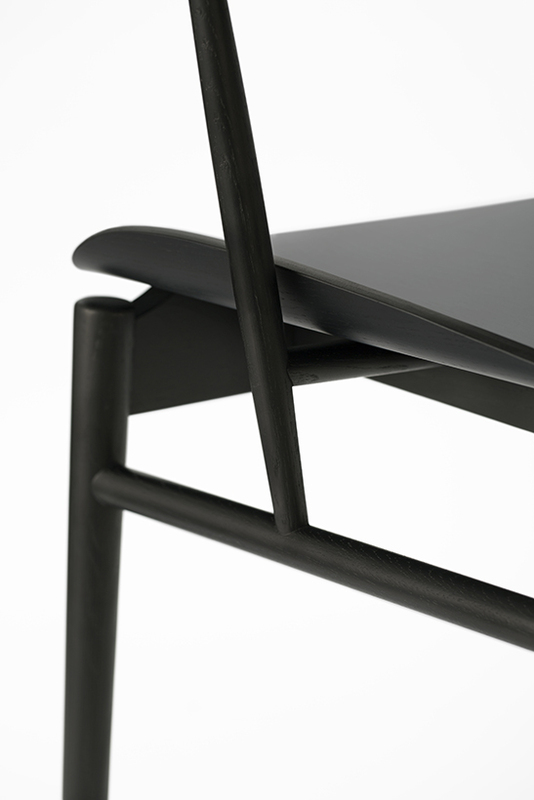 The short-length armrests allows to move the chair as close as possible to the table and still maintaining support for the arms when seated. 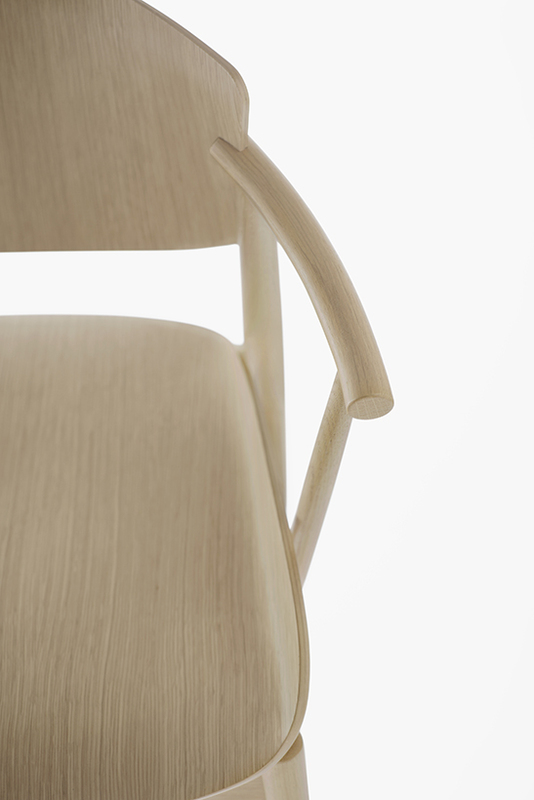 Both sides of the seat have a gradual incline, allowing a comfortable seating experience that feels like the body is embraced, while at the same time maintaining the style of the Swan and Egg chairs that are the flagship chairs of the company. 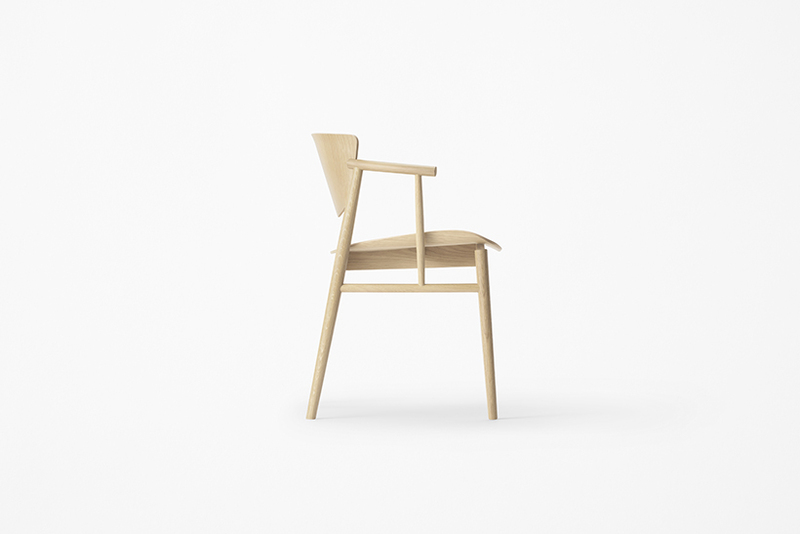 This puzzle-like assembly of 23 wooden pieces is a mix of solid wood and veneer all produced by hand, ensuring the construction comes across as seamless as possible in its design. 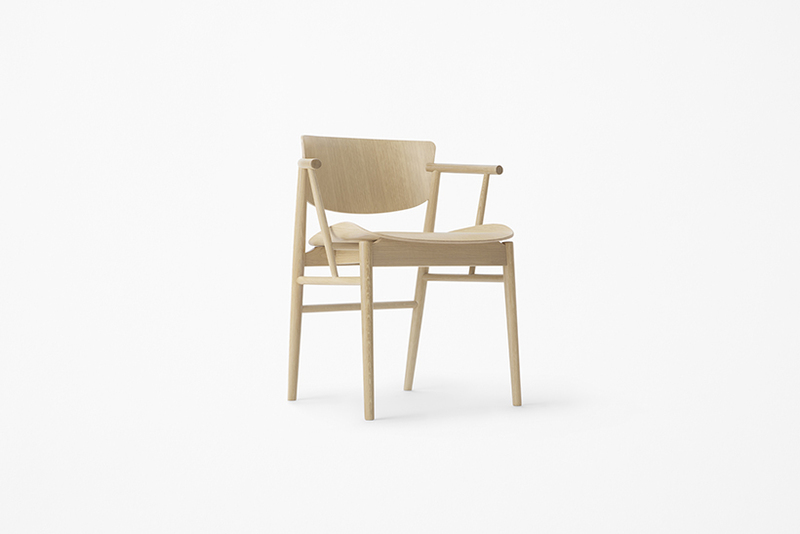 This is the first time in 61 years, since Arne Jacobsen’s Grand Prix chair, that the manufacturer produces an entirely wooden chair, one that is contemporary yet maintaining the traditions and heritage of the brand.